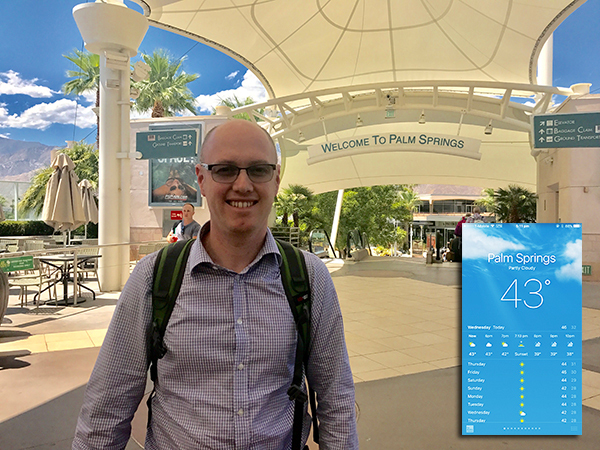 Arriving in Palm Springs, California at the end of August, leaving the airport was like stepping into an oven. We left Sydney wearing Winter jackets and after travelling for over 18 hours, including a transit stop in San Francisco, we stepped off the plane to a temperature of 46 degrees Celsius! We were going to be in for some hot weather during the three weeks we would be here, looking after Noodle, a spoodle (Spaniel & Poodle cross). 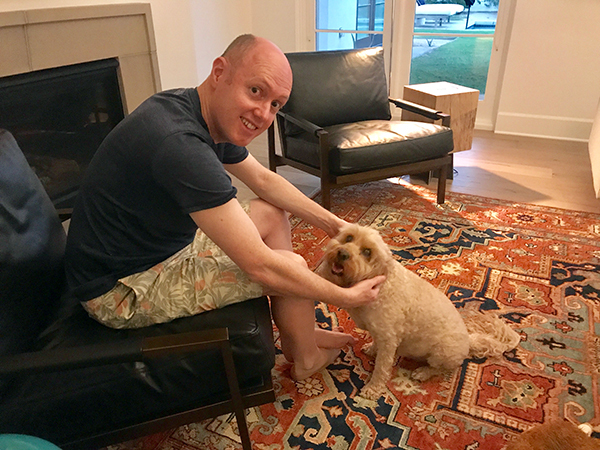 We already knew Noodle and his owners, Tim & Andy as Andy (and Noodle) used to live in Australia and in fact Andy and Christopher, along with another friend started a cupcake shop – My Little Cupcake – but that is another story. It was great to see Andy & Tim again and we had a couple of days to catch up prior to them leaving for France and Spain. 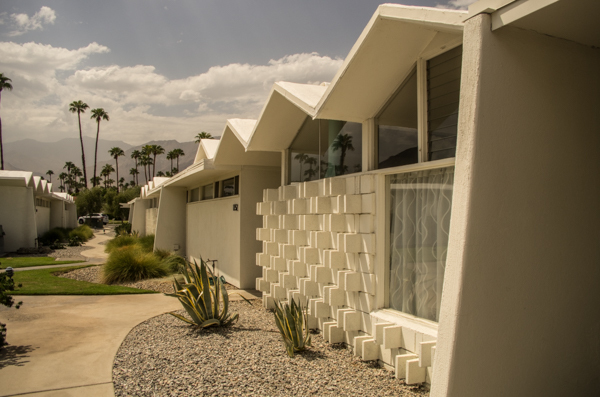 Palm Springs is known for its mid-century modern architecture and driving around the various neighbourhoods you can understand why. 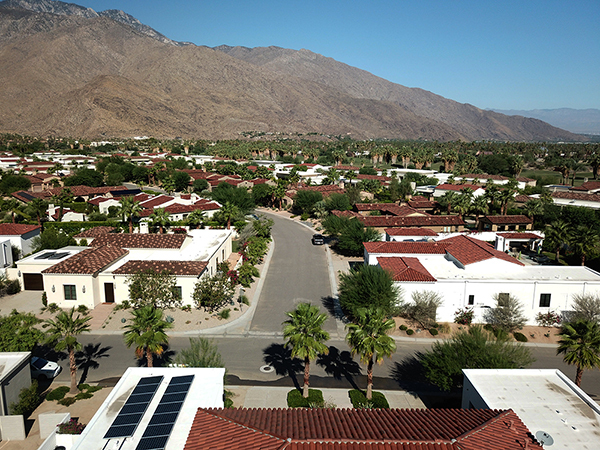 Streets are lined with low rise homes painted in tones of either white or desert sand and often with a very colourful front door. Behind these facades are unknown luxurious abodes including swimming pools and open plan living areas. 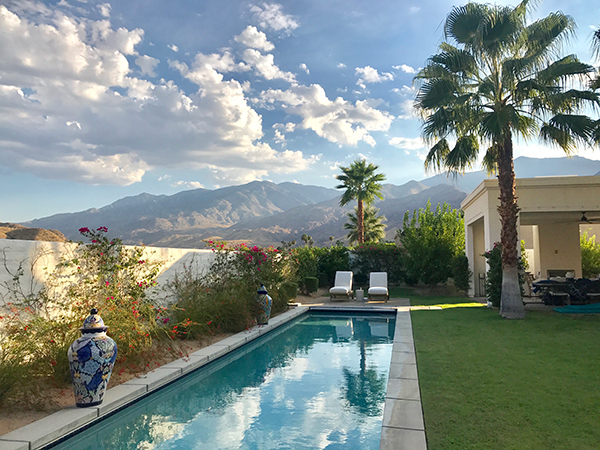 When we first agreed to mind Noodle (way back in November 2016), Andy and Tim were living in a mid-century modern condominium but just a few weeks prior to our arrival, they moved into their new home which is an adobe style dwelling with desert gardens. 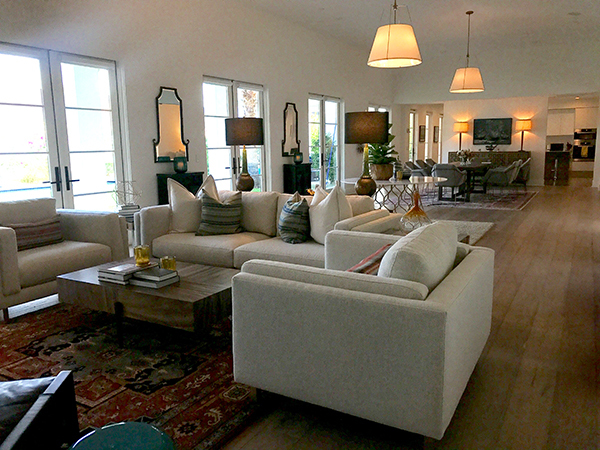 We had seen real estate photos of their new home but they really didn’t do the place justice as we stepped inside their luxurious and very large home which was in a gated community in a new area of town. 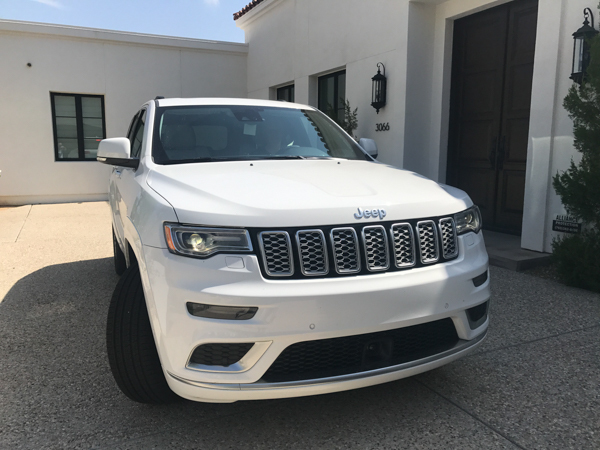 We were soon introduced to Alexa who would be our constant companion during our stay in Palm Springs. Alexa was our first experience of home automation and were delighted to see this technology in action. She controlled the lights, would google questions we had, provide flight updates, give weather updates and control the temperature when requested. She was aware of the different rooms in the house and which lights she could turn on or off and all this happened with simple voice commands. Alexa even understood our Australian accents (most of the time) and we did teach her some Aussie slang as well! 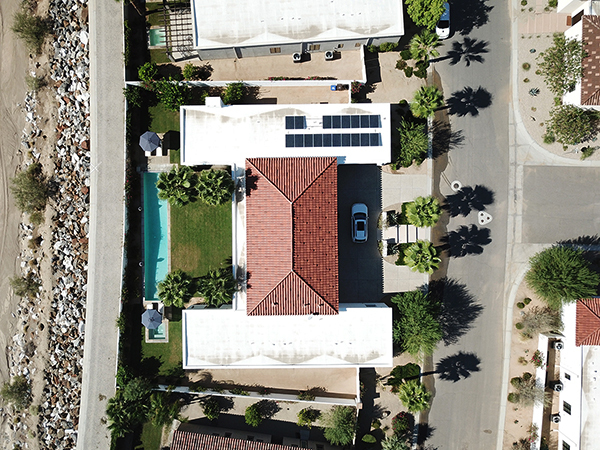 The handover for this house was extensive as we were shown the ipad used to communicate with the security gate, control the pool lights, increase the spa temperature and all manner of other tasks. Andrew being a tech guy loved all the gadgets and we knew that if all else failed, there were light switches that meant things could be done manually. 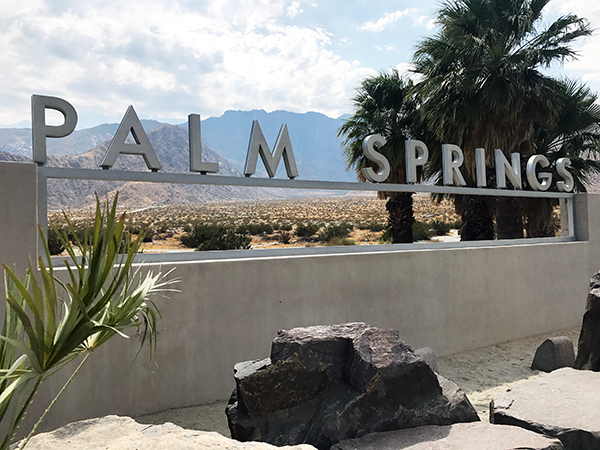 Historically, Palm Springs was the playground of the rich and famous including Frank Sinatra, Liberace, Elvis and Dean Martin to name a few. Today it is a popular spot for residents of Los Angeles (only a couple of hours away) to visit on the weekend. As we were visiting towards the end of Summer into Autumn, it was still too hot for many locals so we were spared huge crowds as we explored the local area. This did require a bit of planning to ensure we weren’t out in the hottest part of the day and often sought shelter in air conditioned cafes or museums. 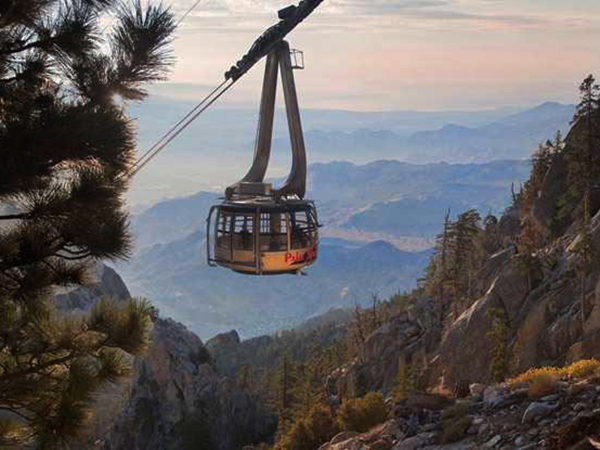 We took a trip on the Palm Springs Aerial Tramway to the Mt. San Jacinto State Park. 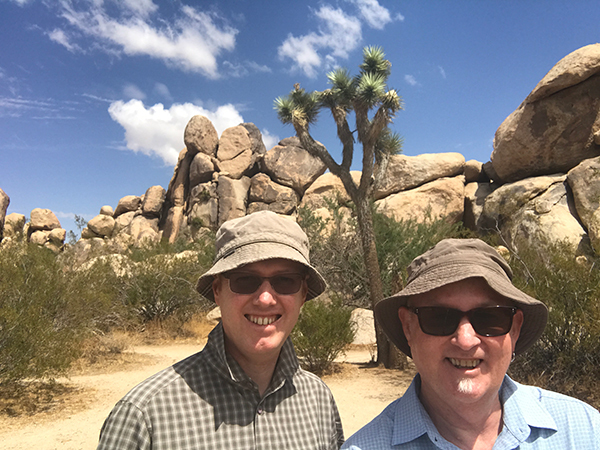 This tramway is the largest rotating aerial tramway in the world ascending to over 2500m and the cooler temperatures were a welcome relief as we went on a bush walk with great views over the valley & Palm Springs below us. 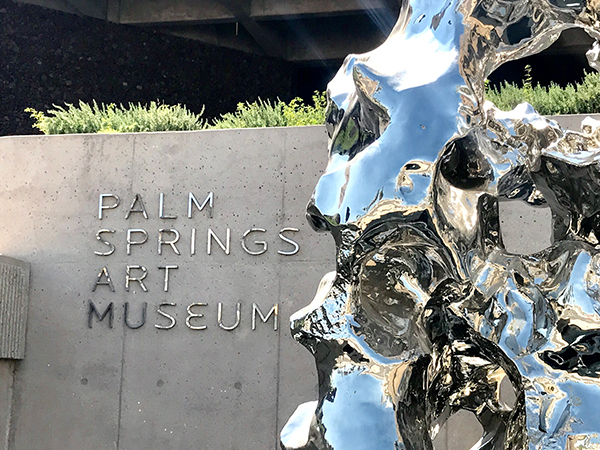 The Palm Springs Art Museum houses an eclectic collection of modern and traditional art and we spent an afternoon there exploring the exhibits. 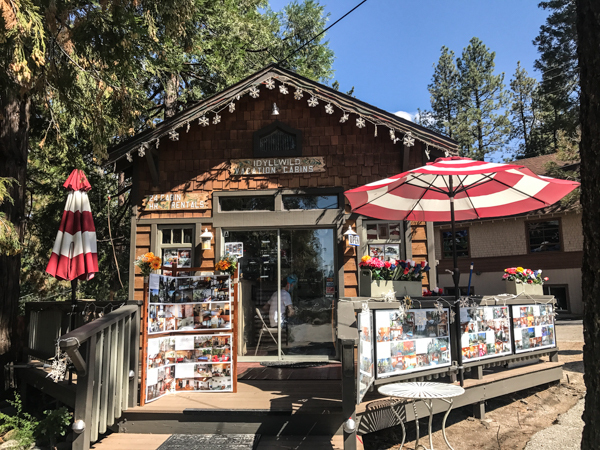 There is also an Architecture and Design Centre which had a great exhibition on Albert Frey’s tiny house built in the hills overlooking Palm Springs. Albert Frey also designed a local gas station which has subsequently been turned into the Visitor Information Centre – worth visiting for both the building design and tourist information. This architecture hot spot was a great introduction to the architecture of the area in the 1950’s, 60’s & 70’s and also got us very excited for our visit to Fallingwater, designed by Frank Lloyd Wright later in our trip. We were very fortunate to have the use of two cars (a Jeep Cherokee and convertible Fiat Spider) whilst Tim & Andy were away and although a little apprehensive at first about driving in a foreign country we soon became accustomed to being on the ‘right’ side of the road and working in miles per hour. 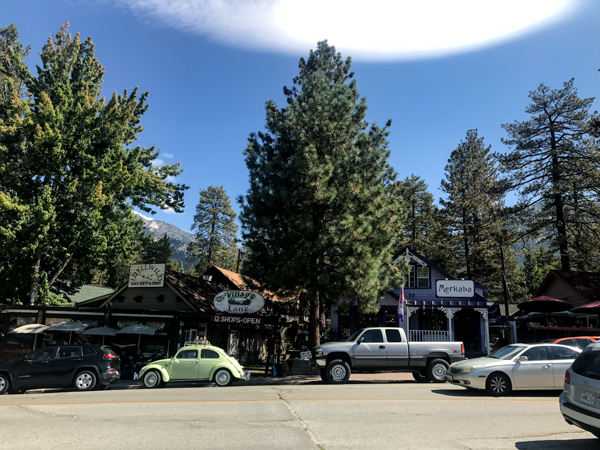 One Sunday we took the convertible to Idyllwild, a small town nestled in pine trees atop the San Jacinto mountain range with numerous cafes and souvenir shops with local handicrafts and arts. A pleasant day out! 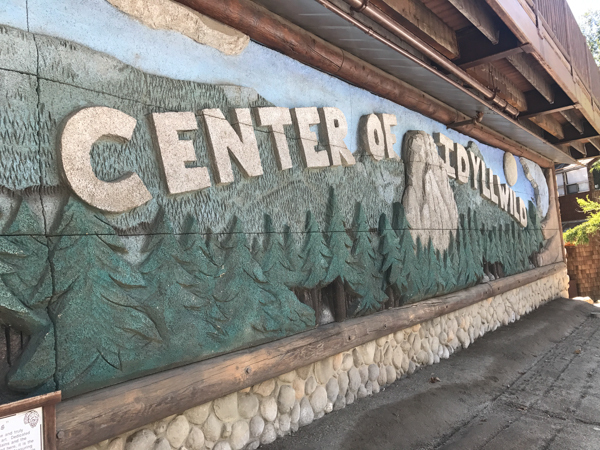 Just home from a visit to Idyllwild in the mountains. 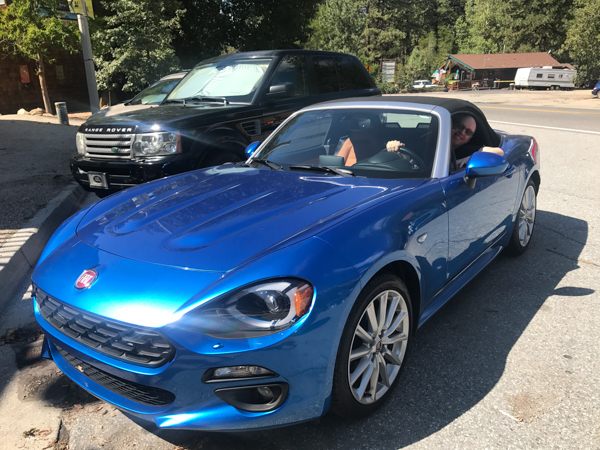 We took the Fiat Spider for a spin! 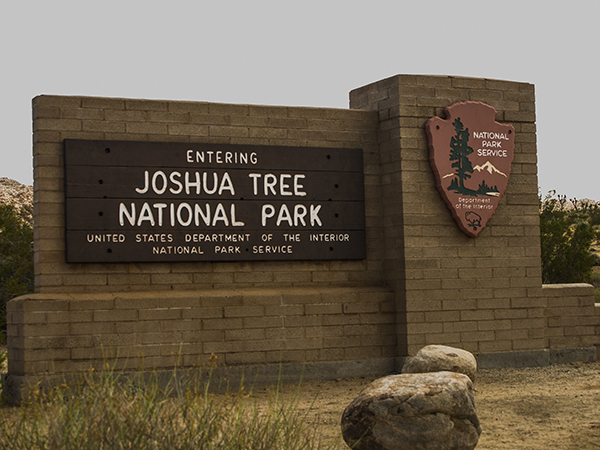 We also ventured to Joshua Tree National Park, a place long been on Christopher’s wish list. 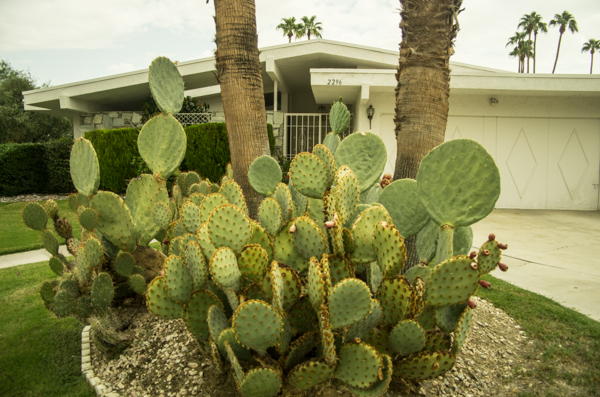 It was a two hour drive from Palm Springs and is known for the particular type of tree that grows there – the Joshua tree which are members of the agave family and have twisted, spiky branches with sharp dagger like spines. 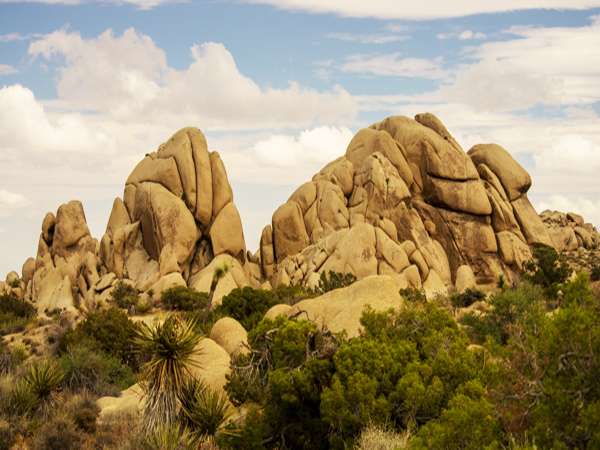 The park, where the Mojave and Colorado deserts meet, is known for its rugged rock formations and stark desert landscapes and it certainly is quite unique with numerous photo opportunities. 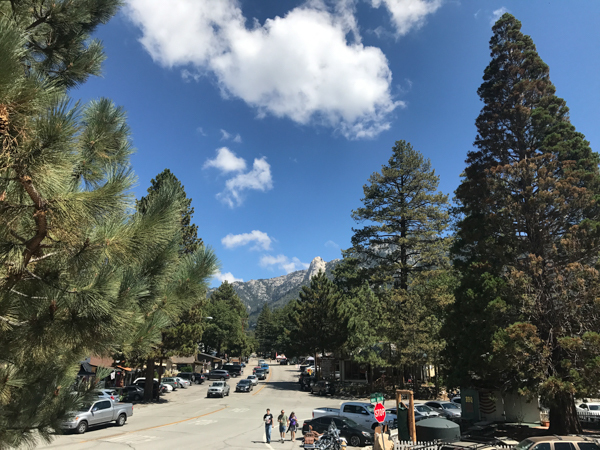 Being at slightly higher elevation than Palm Springs, the temperature was more bearable and we managed a walk in Hidden Valley and visited several lookouts and vantage points. 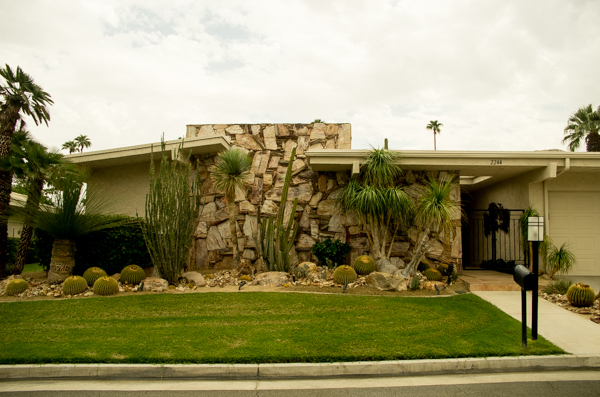 Along with Noodle we also had to care for two cats at a second house in Palm Springs. We visited each afternoon to feed Squigette and Pinky and change the kitty litter. Another neighbour would do the morning shift and it was great to spend some time with them although we suspect the cats were more interested in their food rather than the pats we gave them. People often ask what are the benefits of having house sitters? One is that someone is around should something unexpected happen and this it did one afternoon. 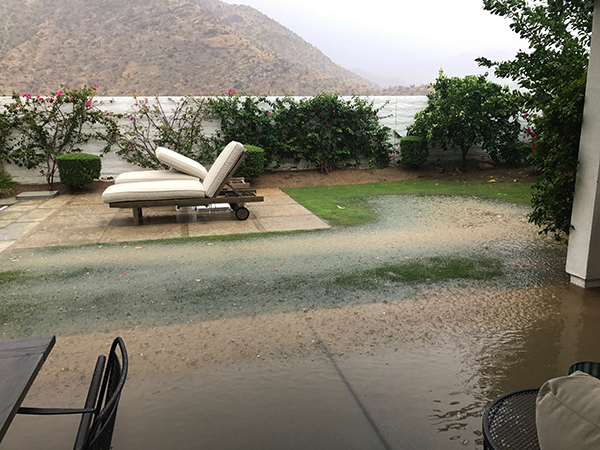 It began pouring rain and after an hour or so, we realised that the pool would soon overflow, potentially flooding the house. 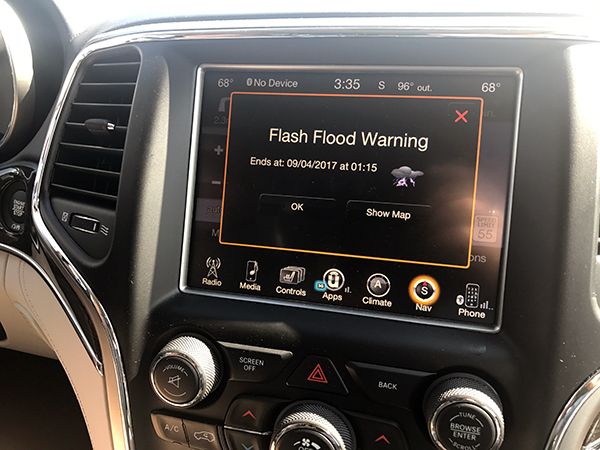 The air conditioning units and pool equipment were also in danger of becoming water logged as a result of the freak storm. 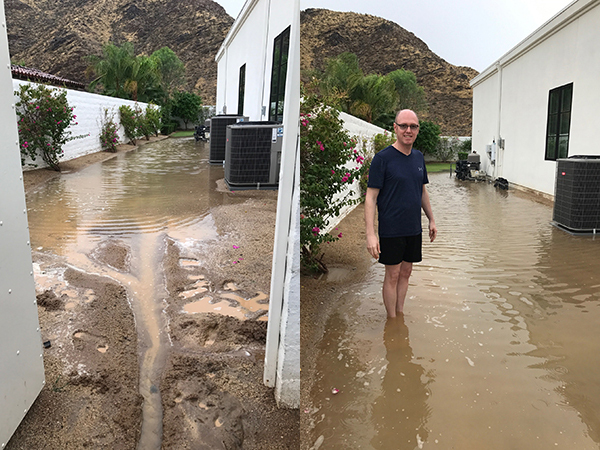 Armed with an umbrella (which we soon abandoned) we started digging trenches to run the water down the sides of the house onto the street in order to prevent any damage. All ended well but we sure were glad we were on site to avert a disaster. Upon Tim and Andy’s return we were able to spend a couple of days with them, further exploring the local cafes and restaurants and it was great to hear about their trip. They kindly drove us to Ontario Airport, California for our flights to Buffalo, New York. Super duper pool scoopers saved the day! Great post, I really got a sense of your time in Palm Springs. I would love to see the architecture of the area. Thanks Sue. The architecture is quite amazing and we were forever intrigued as to what lay behind the walls.